Meet Ashley and Nat. They ooze sweetness, don't they? These two met in college in Boston, have traveled the world together and currently live in NYC. They planned a beautiful seaside wedding at the Hartley-Mason Reserve in York, but unfortunately the weather did not cooperate. They were married in the ballroom at the York Harbor Inn instead. They were disappointed to be indoors, but honestly, their ceremony was so touching and so intimate and- unlike if we were outdoors under umbrellas- everyone was comfortable. Their love of the Red Sox was even included in their vows! Ashley did a great job keeping her spirits up while getting ready, and had everyone laughing as she described how she didn't want her veil to look. I love this brief moment with Ashley and her mom getting ready. We did manage to catch a break in the rain to sneak down to the beach for a few minutes during the reception. Personally, I love the romantic feel of the fog from these images. There are many adorable smooching moments between Ashley and Nat from the day. These are two of my favorites. When I met Ashley and Nat, Ashley told me how much her grandmother means to her and she asked if we could duplicate an image she has from her grandmother's wedding. And although the setting did not allow for that scene to be copied, Ashley, I have a feeling that one day you might have a grand-daughter who will want to copy some of your wedding images. Your wedding was both sweet and simple, and truly touching. It was the last wedding of my regular season and I was honored to wrap up my season with you both and your fantastic family and friends. I received this excellent thank you gift from liveBooks for speaking at their booth at PPE. What a cool idea, huh? I'm touched. 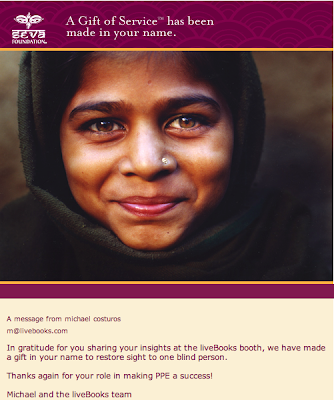 Be sure to check out the Seva Foundation website and see what great things they're up to if you are not familiar with the organization. My pleasure, liveBooks! 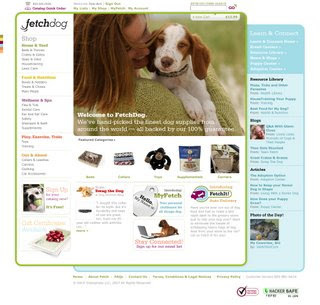 A few months ago, web designer Joe Myers (a 2005 groom who now lives in Utah and has a very fun blog) contacted me about doing some freelance work for FetchDog.com, a new website and catalog based right here in Portland. After a lot of work, the site is finally live! "FetchDog is a new, high-end dog catalog company. The shop is full of great dog products and gift ideas. There's also a ton of information in the Learn & Connect section: articles, blogs, breed centers, resource libraries, e-zine, puppy center, adoption info and much more to come like forums and ask the experts etc. (no interactive stones unturned). And if you're considering getting a dog, try the breed selector tool to see what breeds best suit your personality type and lifestyle. On top of all that, there's a quickly growing social community section called MyFetch where you can create a profile for you and your "family," upload pictures, write on your whiteboard (mini blog), recommend products, save wishlists and grocery lists, compare notes with other owners and make other contributions throughout the site. Your dog could even be the photo of the day. It's been a lot of work and late nights. I've designed almost every page on this site. The company is full of great people and well funded by involved investors including Glenn Close, who has her own blog called Lively Licks, Profiles of Dogs and Their People." My riveting (sense any sarcasm?) product photography can be found throughout the drug library. Photojournalistic work will accompany some of their blogs soon. Congrats, Joe! The site is chock-full of information! I can't wait to spend some time on there creating my MyFetch page. I know how hard you worked on this, and you should be very proud! I wish you all amazing success! Wow. What an experience! Many thanks to those of you who came to hear me talk at the liveBooks booth at PPE yesterday! It was so wonderful to share my experiences with you, hear yours and field some questions, too, especially from Susannah Dambmann, Larissa and Ryan of Chace + Smith Photography, Chris and Heather DiPiazza, George Pejoves and Barbara Williams. I don't have any pictures of me speaking, but this is what the scene looked like (taken w/ my point & shoot- please excuse the poor image quality!). I spoke in front of those chairs on the left side. J has a sweet little video on his blog of the liveBooks booth scene **here**. We drove home last night (intently listening to the Sox game!! ), and are busy catching up on work today. I'm heading up near Bar Harbor tomorrow for another assignment for Ladies' Home Journal. We're heading to Boston tomorrow night, and then to NYC through Saturday for the Photo Plus Expo at the Javits Center- a huge photography conference and tradeshow. Unlike the wedding photography conference I go to in Las Vegas each winter, this encompasses all areas of photography- fashion, editorial, fine art, weddings, travel, portraiture- you name it! There will be 20,000 photographers and vendors attending. I am very excited to be speaking at the liveBooks booth at 11:30a on Saturday morning. If you are attending please stop by and introduce yourself! Here is my talk topic (click image to enlarge): We'll also be attending parties for PhotoShelter, Digital Railroad and GraphiStudio. I'll have access to email and phone while I am traveling, so don't be afraid to get in touch. Have a great week! 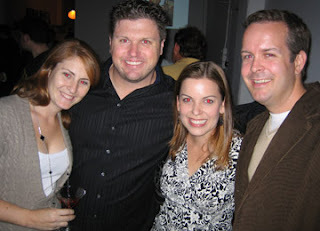 Kate and Jonathan used to do their Calculus homework together at Colby College. Kate's friends (and mother!) used to ask why she wasn't dating him. Her reply? "If I date him, I'll marry him." And that's exactly what happened. Kate and Jonathan now live in NYC, but chose to have their wedding in Kennebunkport. They were blessed with an amazing fall day. ** Click here ** to view the slideshow. Jonathan's mother's darling friend Pablo helped Kate with her make-up. Applying her mascara, he shows Kate how to make wide eyes. It was a very emotional moment when Kate's father came in to see his daughter. Enjoying the ride in the sweet Bentley. Beautiful natural light in the chapel. Kate's rings have a squared backside, so that they don't slip. How neat! Jonathan proposed to Kate on a ski slope at Park City Mountain Resort. All of the tables were named after trails. Kate is so expressive. It was very fun capturing all of her faces throughout the day. These two were up for anything! Congratulations, Kate and Jonathan! J and I had a blast capturing your beautiful wedding and spending time with your families! Can't wait to hear all about Italy when you get home! As a side note, if you are looking for a band, Kahootz is amazing. Everyone was on their feet all night long! Happy to know there are other people who enjoy my business colors as much as I do (thanks for sending, Margaret)! Check out the Pink and Brown Love blog. Wow. What a week. Since I last wrote I have experienced pure elation celebrating the new studio and today, the disappointment of letting it go. Without getting into too much detail, let me explain. On Monday J and I went over to pick up the keys from the landlord. A pleasant conversation quickly and unexpectedly turned into a heated confrontation. It was as if a switch was flipped when I asked a few questions or didn't know something that he, repeatedly, told me was basic knowledge in commercial real estate. I, obviously, have never done this before and was completely confused, not to mention scared, by his manic behavior (At one point he stormed out of the studio, muttering under his breath that he wasn't sure if he wanted to do business with me anymore. And then stood outside the storefront window laughing with his business assistant. He came back in a few minutes later and said that we had obviously gotten off on the wrong foot, that he wants a tenant who doesn't give him any hassle, and that he would dissolve my lease without penalty. WHA?). I was shocked. And tearing-up. It definitely wasn't how I imagined the key exchange to go! Afterwards we both had a sinking, icky feeling in our stomachs that wasn't going away, especially after talking to some of this guy's other tenants (they have nightmare stories! Lawsuits! Fist fights!). It's a beautiful space and the rent is fantastic for the area, but is it worth the stress of having a landlord with a short fuse? It was a very difficult decision! Ultimately, I went with my gut feeling and decided it's not worth it. I turned the keys back over to them today and accepted the offer to dissolve the lease without penalty. I am disappointed, but also somewhat relieved- I really feel as tho I dodged a bullet with this guy. Starting this exciting chapter in my life with such bad energy in that space was a toxic situation. The right studio space is out there, I know it. I'll be sure to keep you posted. As Emily and Steve chatted about Emily's beautiful engagement ring at our initial meeting last winter, Steve explained that he didn't want to get her a "pineapple cut." Boy, did we laugh out loud when we realized he meant "pear." Too cute! Emily (the first time I have photographed a bride with the same name!) and Steve have dated since high school! Their wedding day, just about 10 years later, was a beautiful day, full of their own unique touches. They had a small, intimate celebration with 40 guests at a house they rented (host to a few LL Bean photo shoots!) on the water in Tremont, Maine. For those of you not from Maine, that's part of Mount Desert Island- home to Cadillac Mountain (said to be the most eastern point in the US for viewing the sunrise) and to adorable villages including my favorite, Bar Harbor. There were no toasts and no dancing, just scrumptious hors d'oeuvres, lawn games and conversations with friends and family. Steve delivered some pretty roses to Emily the morning of the wedding, w/ a card, appropriately dated for the big day! The well-loved stuffed animal was on the bed... a gift from Steve when they were in high school. Wow. Such a neat reminder that they met as kids. Emily purchased make-up for her wedding day, but hadn't had much practice putting it on. I helped her with her eye shadow (a first! ), and caught this great expression when she was putting on the mascara. A few details from the house where the reception was held. Gorgeous! I took the picture on the left, and J took the image at right. Love seeing the two different perspectives of the same moment. I spotted these fantastic chairs on the porch and knew I needed to spend some time w/ the flowers here. Congratulations, Emily and Steve! It was a pleasure working with you, and both J and I really enjoyed ourselves. Thanks for making us feel so welcome! 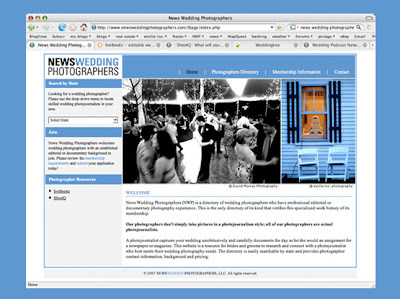 Our dear friends from LaCour in Atlanta have designed an amazing web-based studio management software program for photographers called ShootQ. They have been on the road to educate photographers about their product since June, and will be making a stop at the new studio in Portland on November 14th. Be sure to take a peek at the informative ShootQ website here, and if it looks like something that might benefit you and your business, sign up for the set-up party here (attendance required to purchase the software). I love it, and I'm sure your business will benefit from it, too! ShootQ is also a sponsor of Roots Workshop.